The central African city of Timbuktu (Timbuctoo) continued as a market for slaves long after the British had abolished their transatlantic slave trade — which had more to do with destroying French colonial commerce than philanthropy. 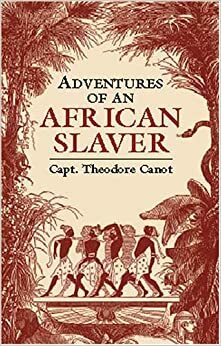 The Captain writes below of how the British action simply forced native African slave traders to the interior of the Dark Continent, and the trade flourished nonetheless as slaves were a traditional African medium of exchange. In his 1961 book “The Slaves of Timbuktu” (Harper & Brothers), author Robin Maugham found that slavery still existed among the African tribes in the late 1950’s. He was the brother of author Somerset Maugham.